La Cava del Tequila is the hands-down fan favorite for a great margaritas at Walt Disney World. 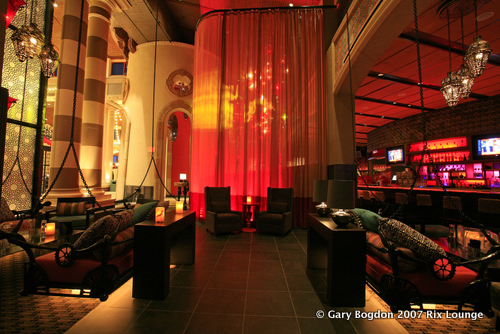 This specialty bar and lounge inside the Mayan Temple of Epcot's Mexico Pavilion is dedicated to having and serving the very best tequila and tequila cocktails on property, featuring over 100 fine examples of Mexico's national drink. 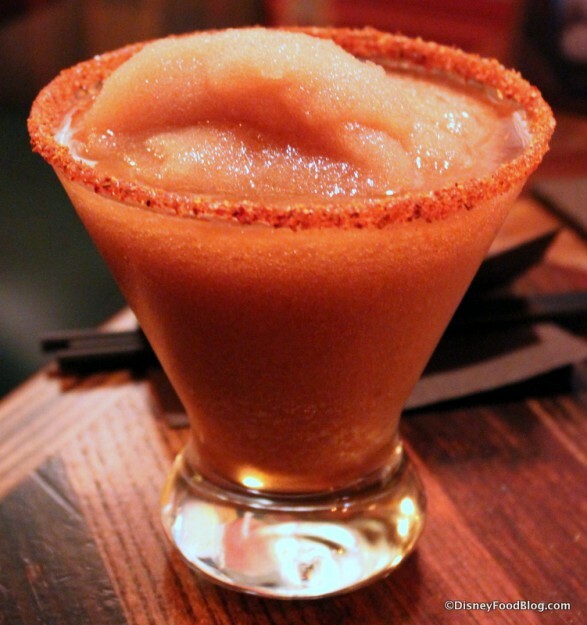 La Cava Tequila is known for it's creative margaritas, such as the truly unique Tamarind Margarita. La Cava also offers a small menu of tortilla chips and a variety of tasty dips to give you a bit of balance while enjoying the exciting flavors. Everywhere in the Mexico pavilion with serve up a margarita with flair, but if you want the very best in tequila, this is THE place to be. Tucked away at Disney's Coronado Springs Resort, the high energy Rix Lounge is another great spot to grab a Margarita and opens daily at 5PM. Guests can dance the night away (there's a DJ is on duty Thursday to Saturday from 8pm until close) with great music, small plates, and a full cocktail menu. The Rix Margarita flight includes 5 of their specialty handcrafted Margaritas including the Mango Blueberry Basil, Classic, Hibiscus, Pineapple and Jalapeno. As we mentioned last week Dockside Margaritas has reopened in Disney Springs so Guest can grab one of the delicious drinks, like the Sunset Margarita, and settle down at a table by the water for relaxing break. With the new digs came a brand new cocktail menu that includes fresh new local flavors to satisfy a wide variety of Guests. Which Margarita Will You Choose? 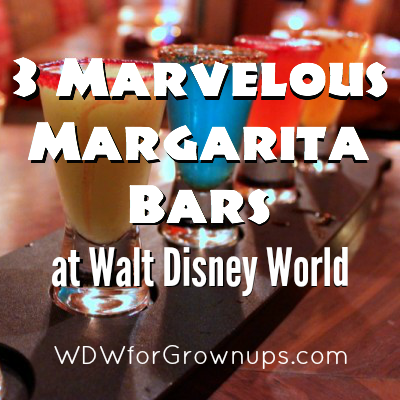 Finally, we can't forget to mention a couple runners up for the best place to get a margarita in Walt Disney World. Upcountry Margaritas at Disney's Animal Kingdom gets big props for for their fantastic frozen Triple Yeti Blast, and the Hollywood Brown Derby Lounge offers a sweet flight of mini margaritas to tempt your taste buds with. Want to make a toast to Mexico but don't feel like dealing with the celebratory crowds? No worries! The Standard Disney Cocktail Menu features an Agave Nectar Margarita, and a Habanero Lime Margarita that can be found at Walt Disney World Resort lounges across property. A big thanks to our friends over at the Disney Food Blog for sharing their photography with us. 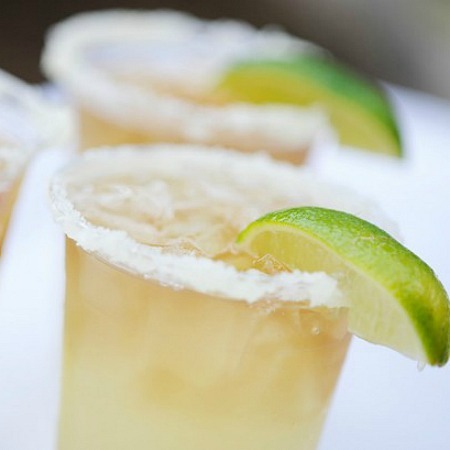 What's your favorite Disney margarita? Leave a comment and let us know!